With Clifton Smith and Sammie Stroughter making there way to the I.R. The Buccs go with a familiar face with the signing of Michael Spurlock. Spurlock returned the first ever Buccaneer kickoff for a touchdown against Atlanta for 90 yards in Dec. 2007. Sammie Stroughter and Clifton Smith are tied for the Buccaneer record with each of them having their own 97 yard return. WR Yamon Figurs was released to make room for Spurlock. Figurs was brought in as a WR from Kansas St so that QB Josh Freeman would have some chemistry and feel comfortable in the Tampa system. His visit was short lived. 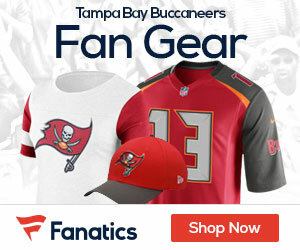 Figurs signed with the Buccs on October 13. He played three games, returning five kickoffs for 105 yards (21.0 avg.) and two punts for 21 yards (10.5 avg.). Not bad numbers all things considered. But it seems he couldn’t transcend his track speed onto the football field. We wish him the best of luck.